Fresh from another EPIC show with the Coral Snakes 2016 , Dave Graney releases his eighth single for the year with the jazzy groover , "Matey, From On High". 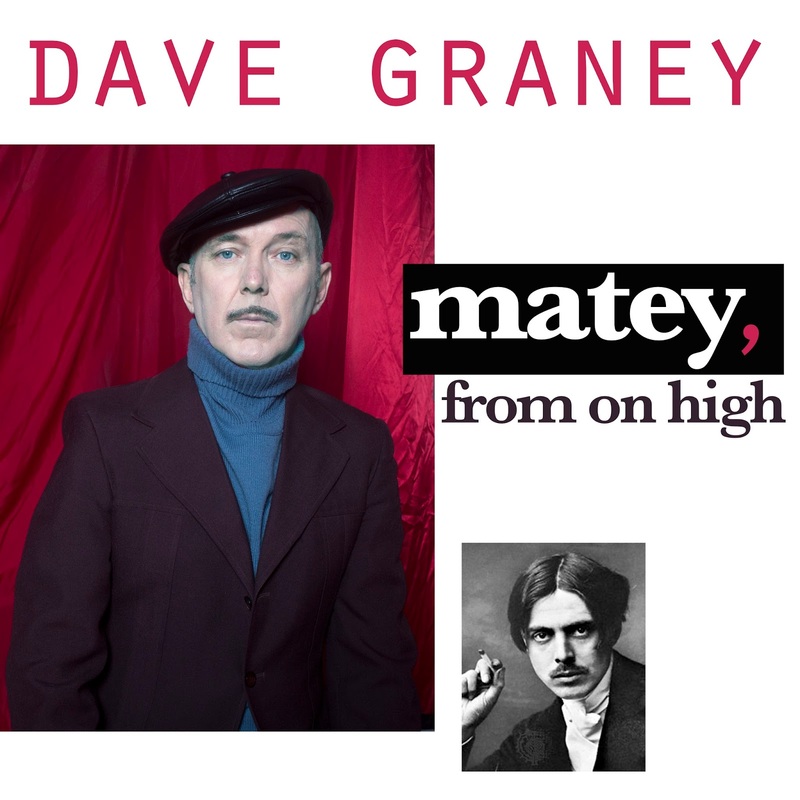 Dave Graney played acoustic guitars, electric guitars and bass guitar and keys. Clare Moore played the drums. Stu Thomas played the trumpet and contributed some wonderful backing vocals. Will Hindmarsh and Emily Jarrett, courtesy of Go Go Sapien, also sang like a choir. It's got a nagging hook like a lot of the vocal chants from Sun Ra. The beat swings and the chords keep rising all the time. Title taken from a line in the book, THE APES OF GOD, by Wyndham Lewis. The early 20th century author and painter is pictured on the bottom right of the single image. A show with the mistLY will happen Sunday Oct 23rd at Bennetts Lane in the heart of Melbourne.